​​AUSTIN – Local industrial investors and users began the year with what CBRE called a "sense of composed positivity" in its first-quarter 2017 market update. 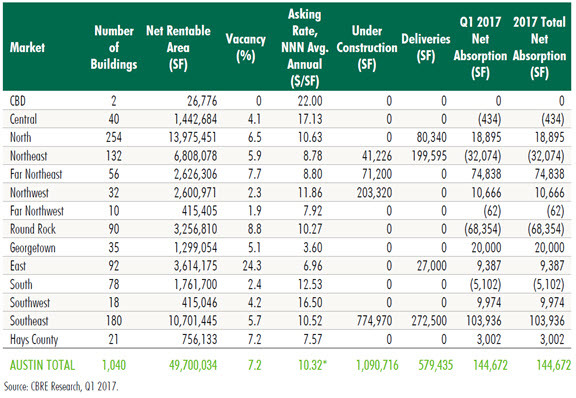 Developers delivered more than 550,000 sf in the first quarter. An additional 1.1 million sf are underway.